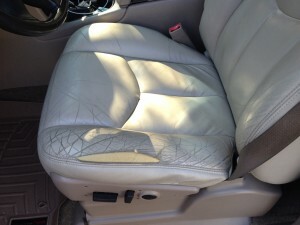 Here’s the deal…Below are some before and pictures that one of our customers sent in of his 2004 Chevy Tahoe driver bottom replacement leather seat cover. The install looks great! Thanks for the pictures Jospeh! The install work looks very nice. 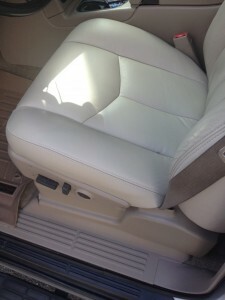 We are glad to hear that everything went smoothly and you are please with the new leather seat cover. Thanks again!